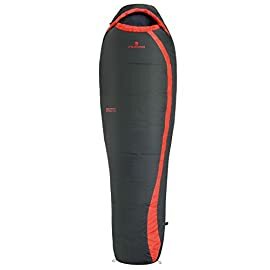 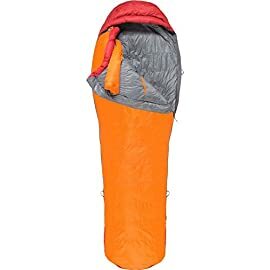 Curl up together on chilly nights, whether you’re camping in the woods or cuddling under the stars in your own backyard, with this queen-size sleeping bag for two. 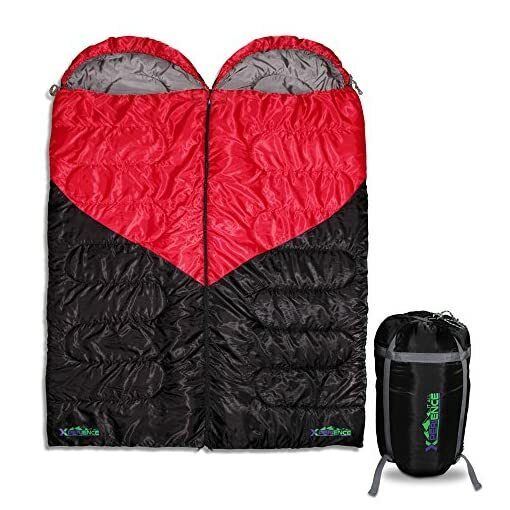 Use body heat to keep each other warm, or close the double zipper for two separate compartments. This premium-quality sleeping bag has a fun heart-shaped design. 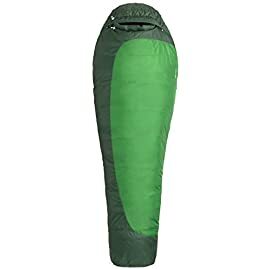 Our Xperience It All three-season sleeping bag keeps you comfortable in the spring, summer and fall. 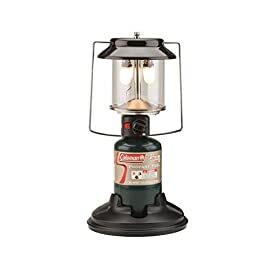 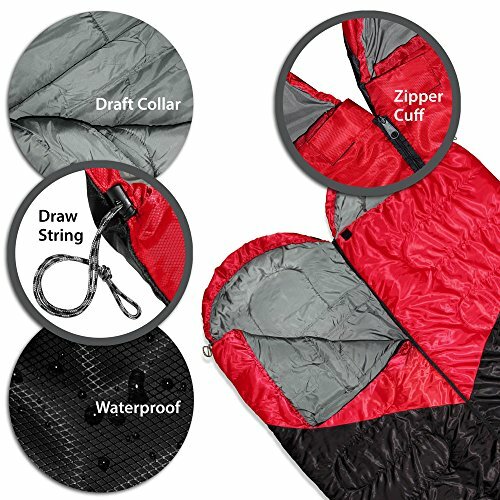 We’ve designed this camping equipment with extreme attention to detail. 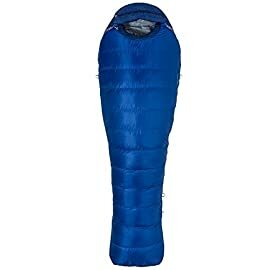 There are draft collars and drawstring hoods on each side to keep you both toasty at night, and cozy cuffs to keep air out and your shoulders warm. 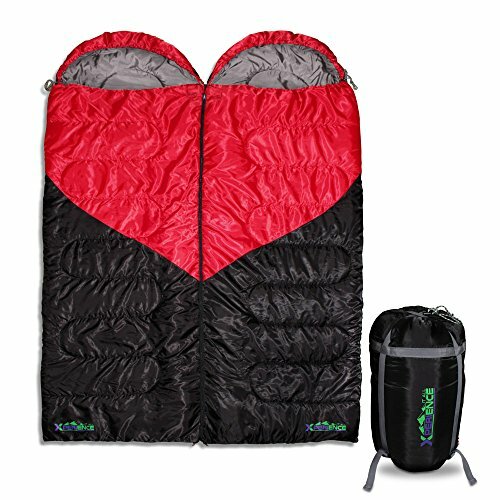 We add warmth without unwanted bulk by using a high-quality, hollow-fiber filling that is light as a feather. 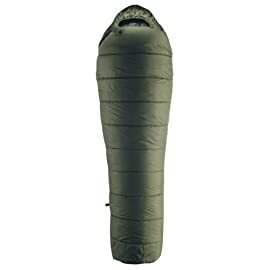 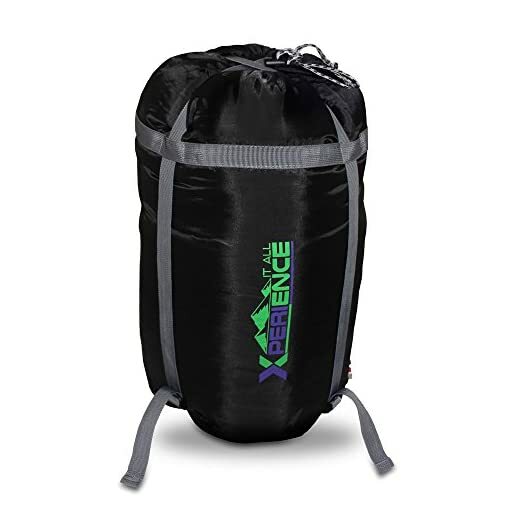 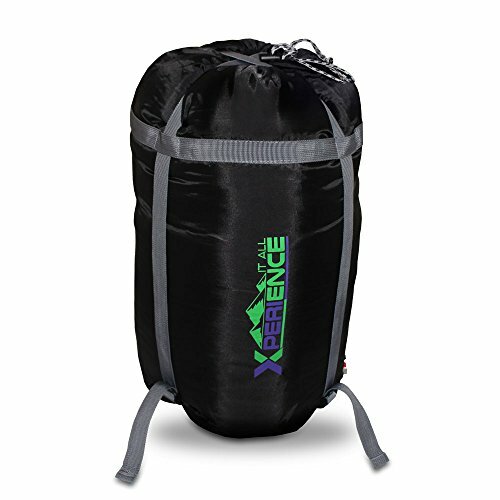 The included compression sack makes this sleeping bag ultra compactable, down to the size of a beach ball, and easy to carry. 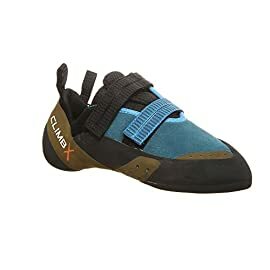 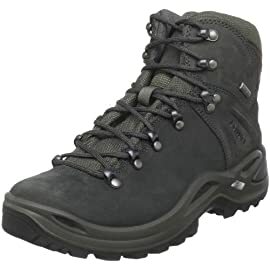 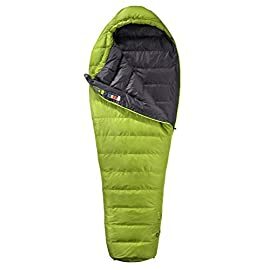 The inside feels soft and comfortable, not stiff and plasticy like cheaper versions, and there’s an inside pocket on each side. 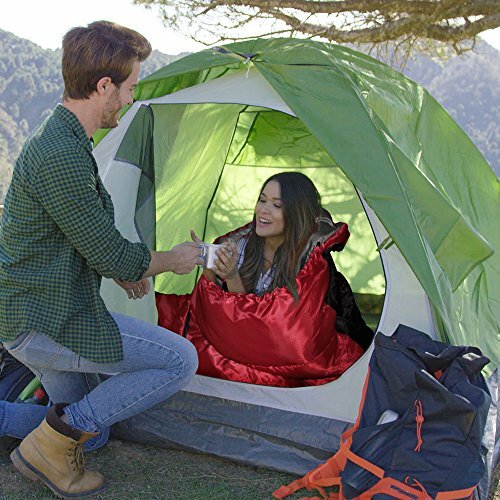 Leave the kids at home and enjoy a weekend away with your significant other. 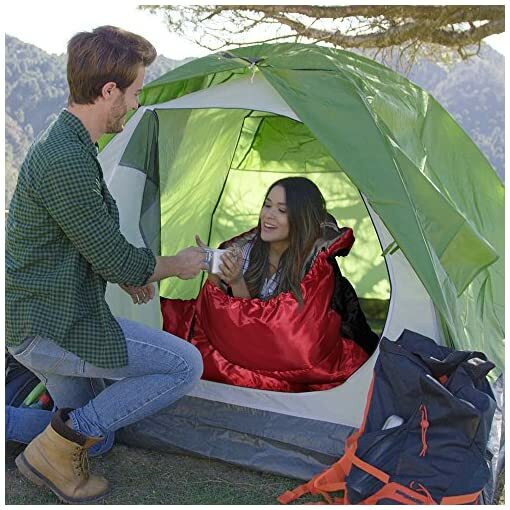 Relax and reconnect while you enjoy the outdoors. If you can’t sneak away for days at a time, bring this sleeping bag along for a beach date, picnic or concert. 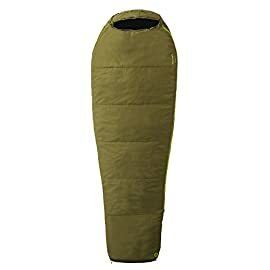 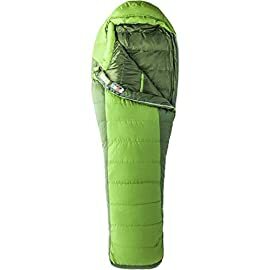 This sleeping bag might be compact when it’s rolled up, but it’s wide and oversized when spread out. 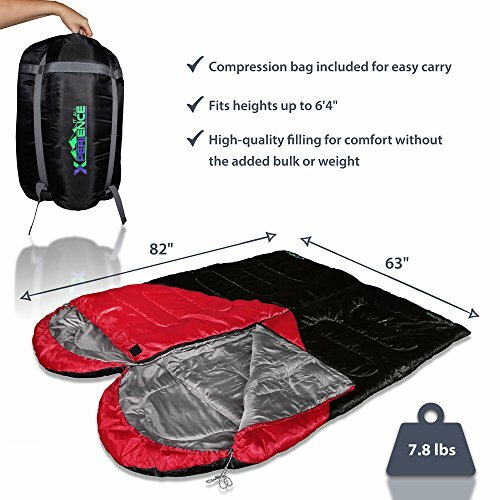 Tall men and women can fit inside without feeling crowded or cramped. 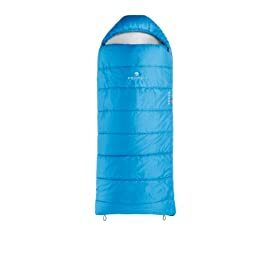 Although the sleeping bag is designed for adults, kids also love it because there’s enough room to bundle up together.